One of the Andalusia's White Towns, as well as one of Spain's Most Beautiful Towns, Vejer de la Frontera, often just referred to as Vejer, is the site for an exciting new Boutique Hotel. You know how much I love Boutique Hotels from my Only Spain Boutique Hotels portfolio. One of the Andalusia’s White Towns, as well as one of Spain’s Most Beautiful Towns, Vejer de la Frontera, often just referred to as Vejer, is the site for an exciting new Boutique Hotel. 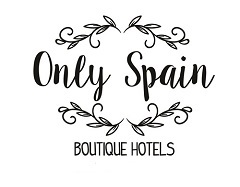 You know how much I love Boutique Hotels from my Only Spain Boutique Hotels portfolio. Due to open for Easter 2019, Plaza No. 18 is a new six-bedroom luxury hotel set in a beautifully restored 19th Century merchant’s house. In collaboration with hotel La Casa del Califa, Vejer’s main hotel and designed by Nicky Dobree the award-winning interior architect and designer. The project will have turned one of Vejer’s landmark properties into one of the finest hotels in the boutique genre in Andalucía. Located in the heart of the medieval quarter and next to Vejer’s palm-filled and ceramic, froggy-fountained Plaza de España. Dating from 1896 and standing on the foundations of an ancient 13th century Moorish house the renovations have used entirely organic building materials, including traditional lime-based mortars, wooden floors with natural stone and marble. It has a shady central courtyard, typical of Andalusia, where guests can relax in the heat of summer. Or the large, comfortable sitting room with a huge fireplace in less clement days. There’s also a large roof terrace with fabulous views. All bedrooms, one of them a suite, has views of the town or the Parque Natural las Marismas nature reserve. Plaza No. 18 will share its reception with Hotel La Casa del Califa and also its facilities will be on offer to Plaza No. 18 guests. Amongst which is the Michelin recommended restaurant El Jardín del Califa with its palm-filled courtyard and stone-vaulted dining rooms. In 2019 the Califa Group will be opening a Hammam Baths in Vejer. A Moorish bathhouse or Arab Baths, a tradition which has been lost in many towns and cities around Andalusia and one that is a must when visiting Spain. Read my posts on the Hammam in Granada and in Malaga. The Califa Hamam will be a blend of the traditional Roman and Moorish baths with cold, warm and hot baths as well as a steam room, domed atrium and a massage room. Vejer de la Frontera is a popular and one of the best preserved ‘Pueblos Blancos’ – a route of White Villages or White Towns. It’s a historical town with turreted walls, flower-filled courtyards and ancient buildings. It has over the recent years developed a good reputation for its gastronomy. Now it has a large choice of excellent restaurants, cafés and tapas bars where you can pass the time, relax, watch the world go by and eat. Vejer, in the province of Cadiz, is 10 kms inland from the Atlantic coast and beaches of El Palmar and Cape Trafalgar. Its only 54 km from Jerez airport, a great, small airport more like a large cafe! Or 95 km from Gibraltar airport, 158 km from Seville airport or if you like driving, which is not at all stressful here in Andalusia, 210 km from Malaga airport. See my sister site Only Spain Boutique Hotels, a site full of gorgeous personally-visited boutique hotels, as such Plaza No. 18 isn’t on it, yet!